Confused about how to start the college search with your homeschooler? Have you poked around online - only to feel more overwhelmed? It’s easy to think the golden ticket is Google. Or your own alma mater. But the answer is sitting right across the room - go on, take a peek over your computer screen. Yup. The answer lies in that kid who’s probably scrolling through their phone right now. In fact, if they’re like most teenagers, it’s gonna sting. You see, your kid needs to start the college search by going existential. They need to question who they are and what motivates them. Quite likely, it’ll be the first time they’ve asked themselves questions like these. But answering in a thoughtful way will create a transformation that will totally wow them. So how are you going to get their Kierkegaard on? It’s Monday night at 7. Your homeschooler is sitting cross-legged on the floor as they hand you over a paper filled with ramblings and musings about who they are. You take a sip of your chamomile tea and the two of you chat about the ideas that light them up, the values they hold dear, and the future they imagine for themselves. That Monday night should be every Monday night. Same time. Same place. Same positive energy. Schedule it. Follow through with it. And on that first Monday night (or Tuesday night or Saturday morning), tell them that the college search starts with them and ends with them. Remind them that it’s not about brand names or rankings. It’s not about what their friends are doing. It’s about who they are and who they want to be. Because finding the right school isn’t easy. But it’s a lot easier when you start with what matters most. Eric Furda, Dean of undergraduate admissions at the University of Pennsylvania, encourages all students to start with the Five I’s when starting the college search. I took the liberty of using the Five I’s but inserted the questions I ask every new student about to start on this journey. How do you see yourself and how do others see you? What are your finest qualities? Your most conspicuous shortcomings? How have you grown or changed during your high school years thus far? What kind of person will you be bringing to a college community? How do you think? How do you approach learning? What has been your most stimulating intellectual experience in recent years? How has homeschooling shaped the way you view learning and education? How hard do you work in high school? How do you learn best? What methods and styles of teaching engage your interest and effort the most? What kind of community will benefit from your intellect? 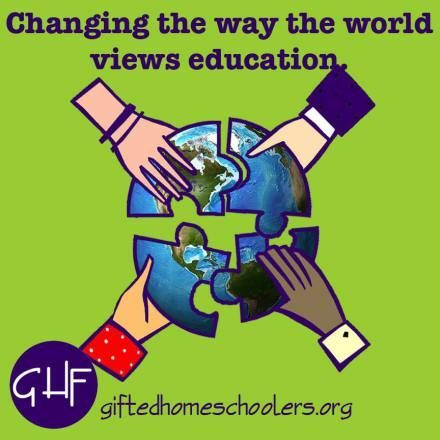 How has homeschooling allowed you to live or think differently than those in school? What ideas continually swarm around in your head and heart? About you, people, and the world? What events/experiences have shaped your growth and way of thinking? How will those ideas make waves on a college campus? How have you taken advantage of homeschooling in pursuing your academic or extracurricular interests? What do you think you missed while homeschooling? What are you looking forward to when attending college? How will your passions add to a college community? What kind of person would you like to become? If you had a year to go anywhere and do whatever you wanted, where would you go and what would you do? How will your values manifest themselves in a college community? The college search shouldn’t start with brand names or rankings or stats. And the college search shouldn’t start with random scouring of the internet. You have an opportunity to start a conversation with your homeschooler. And to have a real conversation, you need to listen more than you talk. Listen to what they say about who they are, what matters most to them, and what they imagine their future selves to be. Teach them to listen to their inner self as it guides them through this next chapter of their life. Treat this process the way you’ve always treated your homeschooler and homeschooling. Let’s finish what you started. Grab your copy of the 23 Questions and hand them over to your homeschooler now. Which question resonated with you most? Share in the comments below.